I've had my Nexus 7 2012 WiFi for about 1.5 years. All has been well until recently. I was running cm11 on it and got tired of it so I flashed the factory image for 4.4.4 for when 5.0 came out. Once I did that it was running good bit when I went to load a few movies on it for a trip over Thanksgiving it said I only had 6 GB total space on a 32gb tab. Not 6gb available bit 6 total. I have no idea what is going on and I have tried everything. Anyone have any ideas? Thanks in advance. If you do another reset, maybe a factory reset, the tablet may recognize the full memory of your device. This is what I needed to do with my nexus 7 2013 after flashing the images to it. Also, did you flash the correct image to it ? Did you shut down and restart after loading the images or just reflash? 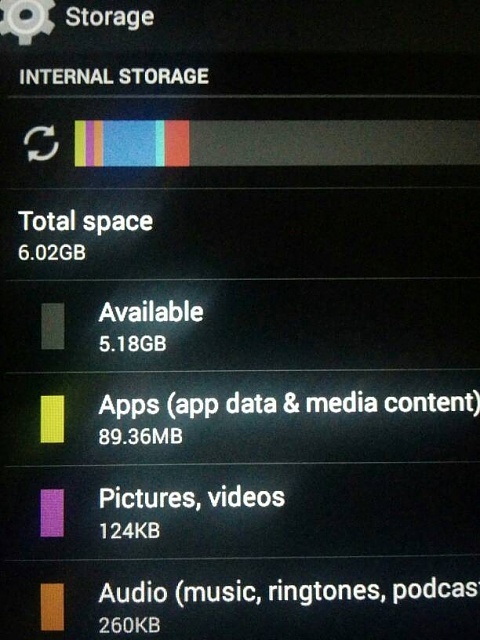 How to recover Internal Phone Storage from (stock) Bootlooping Samsung Galaxy S4?